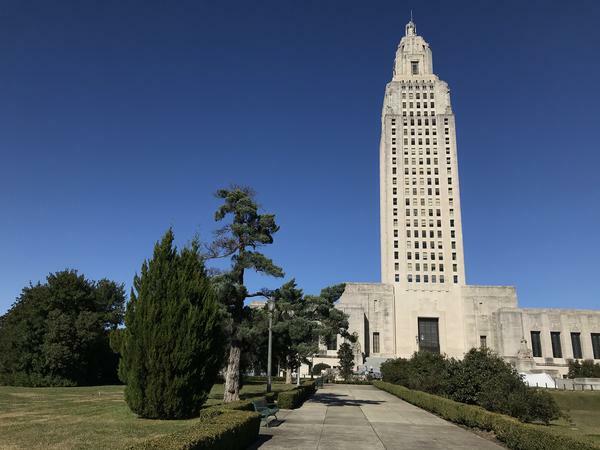 Governor John Bel Edwards now has two Republican challengers in the 2019 gubernatorial campaign. Abraham has represented Louisiana’s 5th congressional district, spanning the northeast and central portions of the state, since 2015. He was re-elected to a third term just last month. Now, his eyes are on the Governor’s office. Governor Edwards responded to Abraham’s announcement Thursday, suggesting the Congressman is neglecting his responsibilities in Washington by launching a campaign for Governor. “He’s abandoning those responsibilities along with the congressional office he was re-elected to exactly one month ago. For the sake of the people of Louisiana, it is my hope that he seriously considers whether or not he is capable of running for governor while fulfilling his duties in Washington, DC,” the Governor said. Abraham currently sits on the House Armed Services Committee and the Agriculture committee. His decision comes just days after Senator John Kennedy said he wouldn’t run for the office, opting instead to stay in the US Senate. “It is such an honor to represent the people of Louisiana in the United States Senate. Right now, that’s where I think I can do the most good,” Kennedy said in a statement Monday announcing his decision. Kennedy had been publicly considering a run against Governor Edwards for months and was seen as the top Republican challenger. His decision not to run opened the door for other members of his party to enter the race. But Stephanie Grace, columnist for The Advocate, says few Republicans present the challenge to the incumbent Governor that Senator Kennedy would have. “There’s no one else who has been elected statewide, who starts off with the name recognition, who has the fundraising ability,” says Grace. Governor Edwards, who has often been at odds with Kennedy over state policies and finances, suggested the Senator had used the months of speculation about whether or not to run as an opportunity to focus attention on himself. The only other Republican in the race so far is Eddie Rispone. Rispone has never held elected office, but the Baton Rouge businessman is prepared to put up $5 million of his own money to help finance his campaign to unseat the Democratic Governor. Despite Abraham’s tenure in Congress and Rispone’s buying power, Stephanie Grace says both lack statewide name recognition. “There’s a real stature-gap between John Bel Edwards and anyone who could run at this point,” she says. Other Republicans publicly considering entering the race are State Senator Sharon Hewitt of Slidell and State Treasurer John Schroder.